Cyprus has become the training venue of choice for Russia's Olympic squad as the modern pentathlon team, which has won medals at every Games since 1964, hope to further their incredible record in London next year. ­Cyprus has been a tourist destination for many years, but a couple of decades ago, this Mediterranean island became a training base for Russia’s Olympic athletes. This story is about the national team in the modern pentathlon. First off, a bit of history for those unfamiliar with this highly-competitive Olympic discipline with roots that spread all the way to ancient Greece. Just as in modern pentathlon, back in the day the sport also consisted of five events. At the ancient Olympics the athletes competed in a stadium footrace, discus and javelin throw, long-jump and wrestling, as the Greeks modeled each event in accordance with the skills of a perfect soldier at the time. The word “modern” along with the new events was added to pentathlon by the founder of the present-day Olympic Games Baron Pierre de Coubertin. 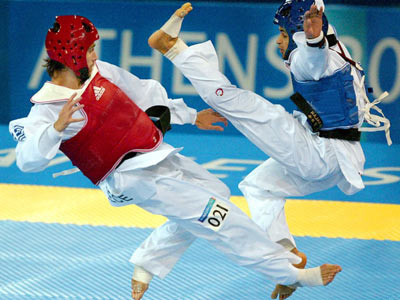 A modern pentathlete possesses a variety of talents, including shooting, fencing, swimming, running and cycling. 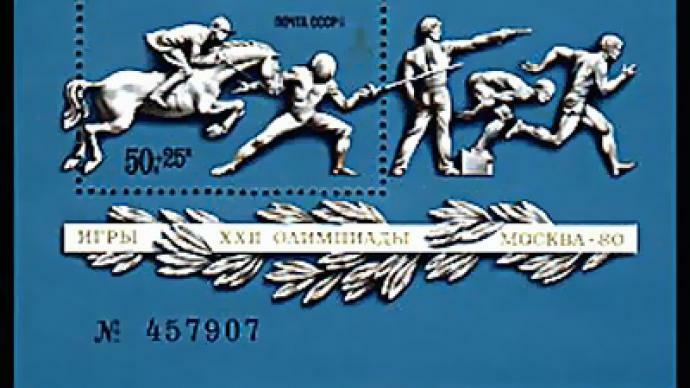 Russia and its predecessor – the Soviet Union – have won podium places in men's events in every single Olympiad that it took part in, since the Tokyo games in 1964. That is a record the country would certainly like to uphold come the London Games in 2012. However, the ladies are hoping to make an impact as well. “The competition for a place on the national team is very high, especially for the men’s team. The dropout rate for women is quite high though, as this sport is not for everyone. 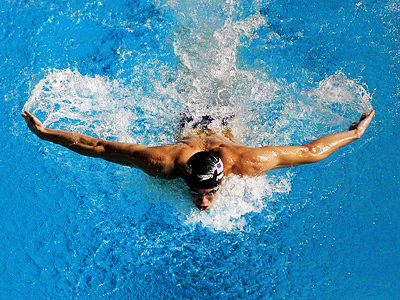 However our swimmers are healthier and are able to get great results very fast. Some of our girls have even become European and World Champions within just two years,” Evdokia Grechishnikova, Russia’s team member, told RT. Cyprus has over 300 sunny days per year and that works perfectly with the national team's winter plans, when it is impossible to train outside practically anywhere in Russia. Pentathletes require certain infrastructure for their preparation and this island has been providing just that. The Cypriot hosts sometimes even go beyond traditional requests by their guests. “The hotel where we stay has provided us with a shooting range, despite the fact that it’s almost impossible to get a permit to shoot in a residential area. But still they managed to find a way to make shooting possible for us. So, they do everything they can to help us in our training. They are very hospitable and very attentive,” Dmitry Menshikov, Russia’s coach, explained. The Cypriot economy depends largely on tourism and during the so-called off-season, most enterprising hotel owners welcome the athletes from Russia and other European countries. The hotel hosting the national modern pentathlon team has been doing just that for the last 20 years. A successful business originally started by his father continues to thrive according to the current owner. “The Cypriot government recognizes the financial gains from visiting sports teams and continues to modernize their facilities,” Petros Petropoulakis, hotel owner, said. 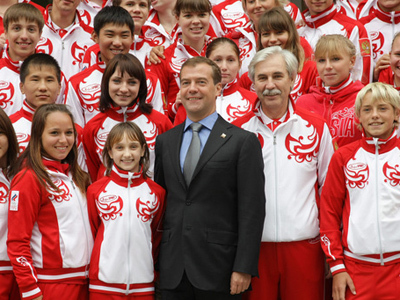 But in the case with Russian athletes or Russians in general it is about more than making money and supporting the economy. “Cypriots love Russians because they consider them our loyal friends. Not just in Larnaca, but all across Cyprus. The Russians have stayed by our side when the Cypriot Republic was going through hard times. Plus your athletes show us a great example. Russia has some of the strongest athletes in the world and Russians win a lot of medals in the Olympic Games and World Championships. They set an example to Cypriot athletes and we take great pleasure in the fact that they choose to come here to train,” Andreas Moyseos, mayor of Larnaca, said. Each winter before the summer Olympics, the island of Cyprus turns into a major sports training camp, with athletes arriving not only from Russia and other Eastern European countries, but Western Europe as well.